Queensland State Women’s team selectors have named a final squad of 23 ahead of Sunday’s clash against Tasmania. The match is part of a state representative program that will see four matches played at the Moreton Bay Regional Sports Complex in Brisbane during the Queen’s Birthday weekend. The team has 12 players aged 21 or younger, including 3 players from this year’s Youth Girl’s Championships in Western Australia. The team also includes seven women who have played at AFL Exhibition Game level; Nat Thomas, Ally Anderson, Emily Bates, Leah Kaslar, Emma Zielke, Tayla Harris, and Jordan Zanchetta. Last year’s QWAFL premiers, Coorparoo, have six players in the squad, Coolangatta four, Yeronga and Zillmere both three, UQ and North Cairns both two and Wilston Grange, Griffith Moorooka and Maroochydore/Nambour one each. 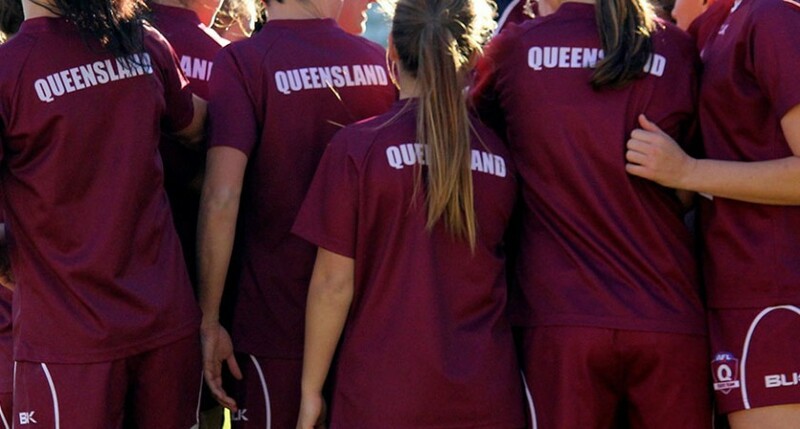 Five players began their football in Capricornia and North Queensland; Megan Hunt (Gladstone), Breanna Koenen (Townsville), Leah Kaslar, Selina Goodman and Luana Healy (all Cairns). The team will train at Coorparoo on Wed June 3and Yeronga on Fri June 5 followed by a jumper presentation ceremony. Coach Craig Starcevich will be assisted by Jo Butland (Cairns), Jacob Simmons-Bliss (Zillmere) (forwards), Damien Richards and Glenn Hodgetts (Griffith Moorooka) (midfielders), Ron Kemp (Wilston Grange) and Scott Stephens (Yeronga) (defenders), Michael Swann (UQ) (runner), Andrew Stevens (acceleration, strength and conditioning), Katrina Lynne (trainer), Miranda O’Hara (physiotherapist) and Dr Tim Amos.